ULC’s exclusive 50 passenger party buses are finally here. Fresh out of the factory and full equipped with the latest gadgetry and safety features, our 50 Passenger Party Bus is perfect for large groups that know good things when they see them! These brand new buses are just itching to get out on the road and make someone’s night, whether it’s a school event, bachelor party, bachelorette party, or just a fun night on the town! 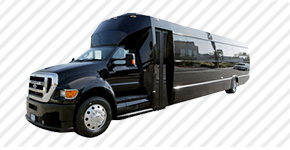 The more people you can get in one of these party buses the better. Take it and all your friends to Las Vegas for the weekend and be stunned by how exciting it will be. The party busses have a 50 person capacity; you can imagine the sheer size and ferocity of this massive behemoth! It’s unbelievable that people haven’t yet discovered how much fun a person can have surround by 49 friends out on the open road! All party buses this size come equipped with bathrooms as well. Don’t forget about taking one of these moving clubs to Hollywood. You’ll be able to party like a rock star in privacy with tinted windows and darkened exterior, making all who see you drive by jealous of your swag! Party buses are more than just your basic limo, and the party doesn’t start until you pull up in your party bus surrounded by your 49 friends! Once inside, Just sit back, listen to the fully functional sound system with CD, DVD, radio tuner, and auxiliary capabilities, and forget about the worries you have during the day – dance yourself silly on the extravagant and spacious dance floor, made for those people who just can’t stand to sit down in a party bus this night! Another awesome idea is to take one of these 50 passenger party buses to a sporting event like Dodger stadium or on a wine tour to Temecula. Don’t miss out on a great night just because you’re not sure everyone can find a ride to the event! 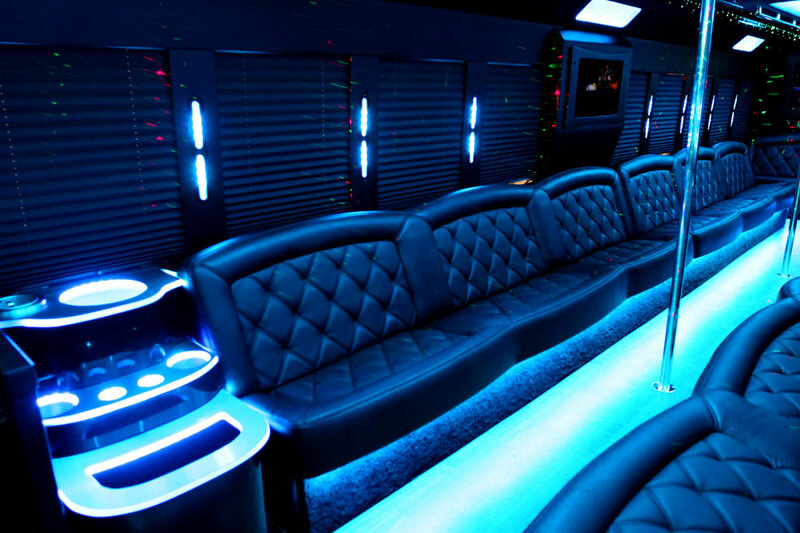 For a price that’s cheaper than a taxi per person, you can ride in style and comfort, all in your own luxurious Party Bus.